Based in Norwich since 1988, KETTLE® Chips are proud to be the nation’s favourite premium snack, last Christmas they enjoyed a 20% increase in sales over the festive period, proving that when it comes to pleasing the family, only the best will do. This year, KETTLE® Chips have put together a hamper of their favourite fellow producers from Norfolk, Suffolk and Essex and from 1st December they are giving everyone the opportunity to win 1 of 50 hampers in their online #kettlechristmas competition. 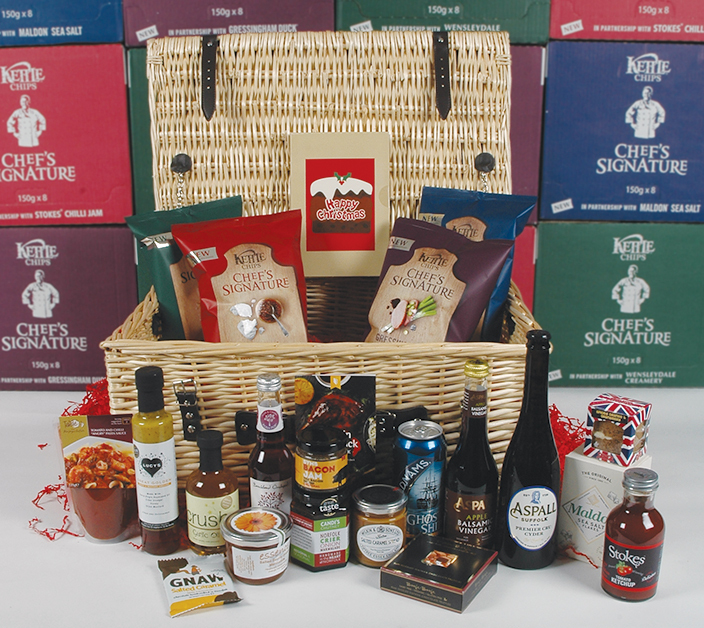 Each hamper boasts 22 products from KETTLE® Chips and other producers with their roots in East Anglia, from well-known brands like Adnams® and Aspall® as well as several others. To be in with a chance of winning this amazing hamper fill in the Rafflecopter below. the Plum Sauce & Spring Onion sounds yummy! I'd love to try orkshire Wensleydale & Cox Apple Chutney, sounds delicious! I like it simple Maldon® Sea Salt Flake for me. Gressingham duck, plum sauce and spring onion…yum. Burrata Mozzarella & Sweet Chilli Jam sounds pretty good to me. The Gressingham Duck®, Plum Sauce & Spring Onion sounds good to me. Gressingham Duck with Plum Sauce & Spring Onion sounds tasty! The Duck, Plum sauce and spring onion sound amazing, but I LOVE the new Camembert one. Burrata Mozzarella & Sweet Chilli Jam sounds amazing!